HB 312 addresses four primary concerns: 1) it makes sure that judges will always consider a defendant's out-of-state criminal history in pre-trial release decisions; 2) it strengthens the pre-trial release assessment for those charged with vehicle theft and other felonies; 3) it gives Alaska's attorney general the authority to criminalize certain new controlled substances so we can continue to fight the sale of dangerous drugs; and 4) it provides much-needed tools to help police and prosecutors reduce crimes against our doctors and nurses. In 2017, listening to the public, we increased the sentences for petty theft and felonies and expanded community work service requirements. We also learned that the loss of 22 prosecutors statewide due to budget cuts had hurt our ability to prosecute crime: State prosecutors had declined more than 7,000 misdemeanor cases since 2013. The Department of Law did not have the resources to prosecute all cases, and Alaskans were hurting from these cuts to vital services. Facing this challenge, we began the process of rebuilding the prosecutor's office by appropriating funds for two new prosecutors. This year, we continue to support the Department of Law by funding five new prosecutors. As we worked to improve public safety, we learned that giving judges unfettered discretion in making pre-trial release decisions was not improving public safety. 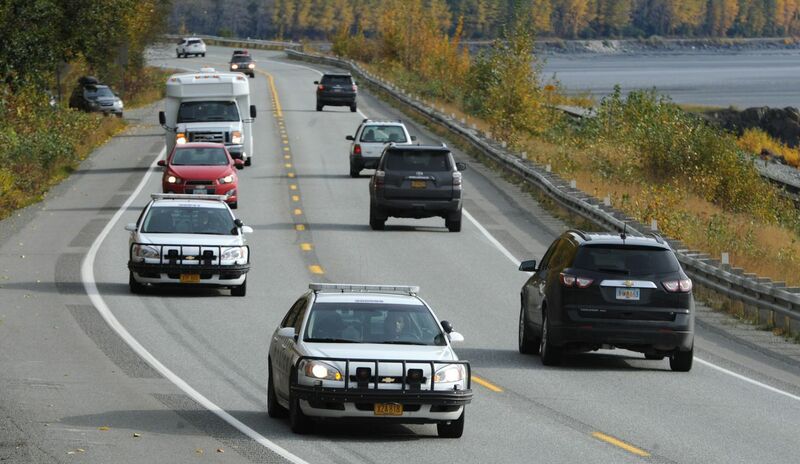 Detailed analysis of 20,000 Alaska cases from 2014-2015 (before passage of any justice reform legislation) showed that 37 percent of those on pre-trial release were arrested for new crimes. This historic level of new offenses while on pre-trial release was not acceptable. When judges were inconsistent with their felony sentencing decisions and too lenient with DWI offenders, the Legislature put sensible limits on judges' discretion by requiring mandatory minimum sentences. Justice reform legislation places similar limits on judges' discretion. And the good news is that our investment in stronger pre-trial supervision is already showing public safety improvements. Data from April of this year showed that of the individuals under pre-trial supervision, less than 5 percent of those individuals had active arrest warrants — a substantial improvement from the previously reported 37 percent. We must give these improvements the opportunity to work for Alaska. Passage of HB 312 will address the greatest public safety needs in Gov. Bill Walker's Public Safety Action Plan: consideration of out-of-state criminal history, improved pre-trial supervision in vehicle theft cases, and stronger tools for police and prosecutors to fight the sale of illegal drugs. Working together as a community with wise use of our public safety resources, we can improve public safety and provide safer neighborhoods for Alaska's families. Rep. Chuck Kopp, R-Anchorage, was elected to the state House of Representatives in 2016. Rep. Matt Claman, D-Anchorage, was elected to the state House of Representatives in 2014.